Every week we pile our garbage on the curb and it disappears-like magic! The reality is anything but, of course. 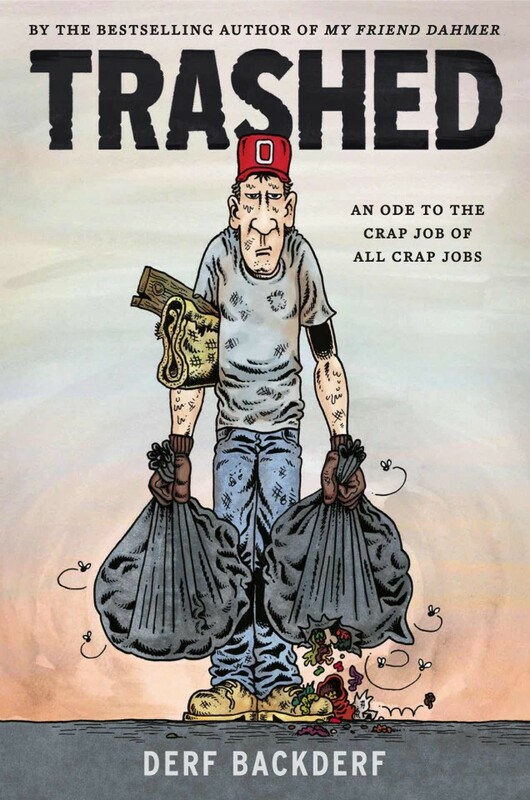 Trashed, Derf Backderf’s follow-up to the critically acclaimed, award-winning international bestseller My Friend Dahmer, is an ode to the crap job of all crap jobs:garbage collector. 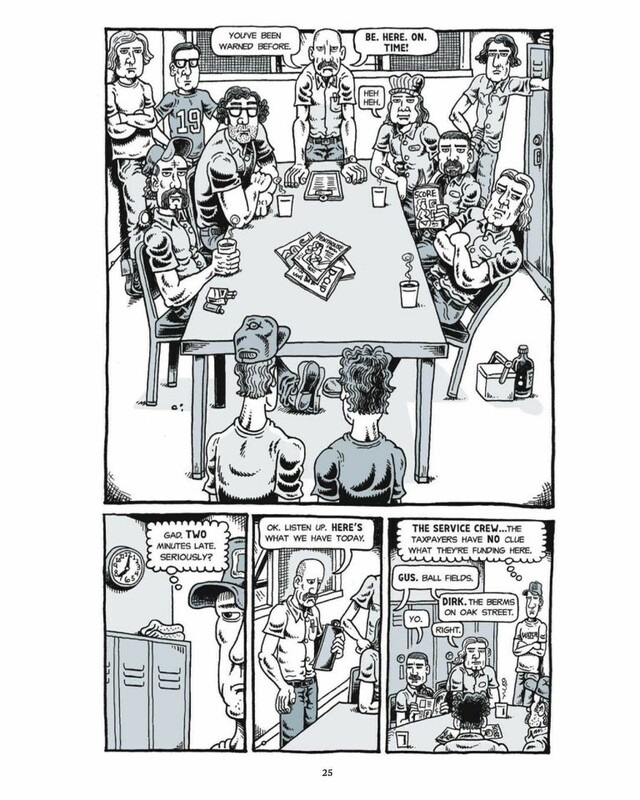 Anyone who has ever been trapped in a soul-sucking gig will relate to this tale. Trashed follows the raucous escapades of three 20-something friends as they clean the streets of pile after pile of stinking garbage, while battling annoying small-town bureaucrats, bizarre townfolk, sweltering summer heat, and frigid winter storms. 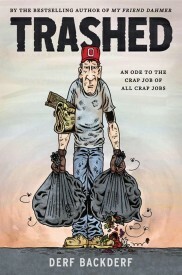 Trashed is fiction, but is inspired by Derf’s own experiences as a garbage­man. 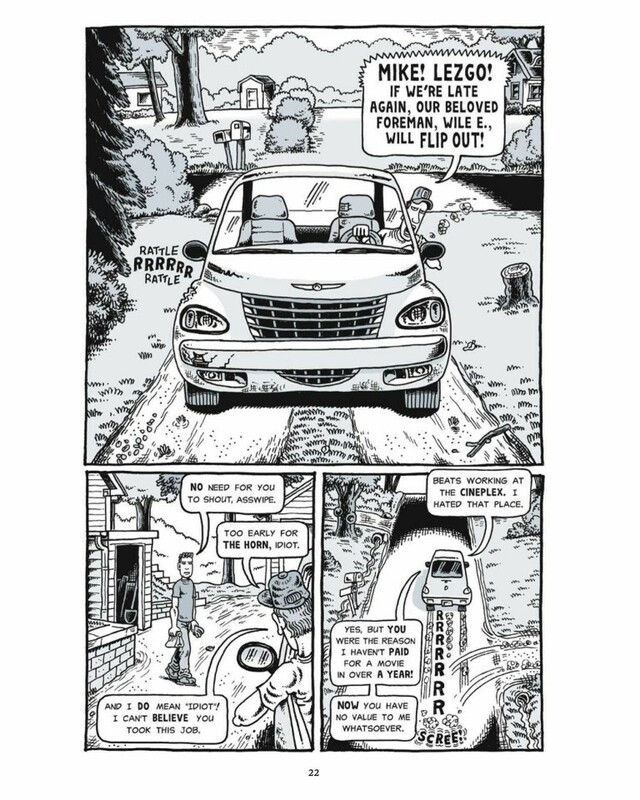 Interspersed are nonfiction pages that detail what our garbage is and where it goes. The answers will stun you. 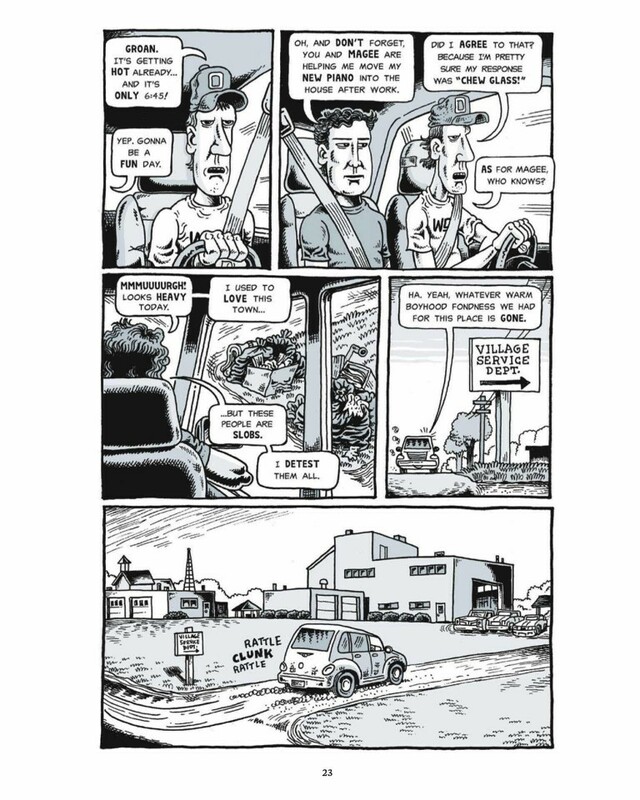 Hop on the garbage truck named Betty and ride along with Derf on a journey into the vast, secret world of garbage. Trashed is a hilarious, stomach-churning tale that will leave you laughing and wincing in disbelief. 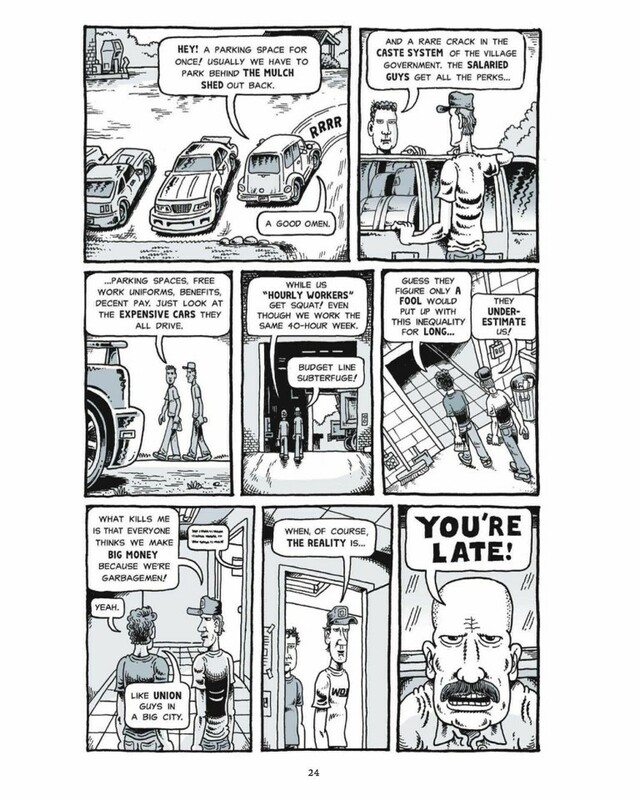 An entertaining ode to the odiferous realities of getting by.